You know, I don't really! I feel like I get too distracted when I'm eating and reading - it's like I don't pay attention as well. What is your favorite drink while reading? I always have to have something to drink while I read and usually it's water. Sometimes though I'll have some vinegar/honey water or chamomile tea. It doesn't really horrify me, but I honestly can't stand it when people have written in books. Highlighters are the worst. How do you keep your place while reading a book? I usually have a bookmark with me, but sometimes I'll use the library receipt or some other type of paper. Are you the type of person who tends to read to the end of the chapter, or can you stop anywhere? It's according to the book. Usually if I'm reading and then have to do something, I just go ahead and do whatever has to be done because I can't really concentrate on the book like I'd like to. Other times I'll finish the chapter. Are you the type of person to throw a book across the room or onto the floor if the author irritates you? No way! I don't like to be rough with my books. If you come across an unfamiliar word, do you look it up right away? I'm not very good at remembering vocabulary, so when I was in high school I would always look up the words I didn't know. Now, unless the word is really important to the book, I just keep reading. Oh wow um...the last books I received as gifts were The Unabridged Journals of Sylvia Plath and Do Hard Things. I usually get my books from the library though. 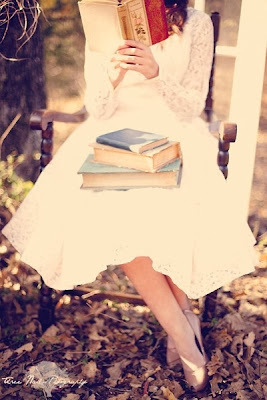 Do you have a favorite time/place to read? Do you prefer series books or stand alones? I like both, but series books always make me the most excited. Is there a specific book you find yourself recommending over and over? Not really. I usually have people recommend books to me haha. All over the place. Since I homeschooled, there are shelves of books all over the place. Most of the books I read are on a bookshelf in my room though. I think we've all had that time in our life when we feel like someone has done us wrong. For people my age (teenagers, college students, etc.) it's usually a "friend" or boy that has hurt our feelings. Maybe they said something insensitive (Boyfriend: "Becky's hot." Girlfriend: "Excuse me?! My name is NOT Becky.") or did something behind your back (Best friend to other friend, whispering: "Did you see how dumb that necklace looked on Katie? *louder* OH HI KATIE I DIDN'T SEE YA WALK UP THERE NICE NECKLACE.") People can really get on our nerves, and make us lose heart in the human race. But while we're pointing out someone else's shortcomings, it might be helpful to remember the things you yourself have done at one time or another. 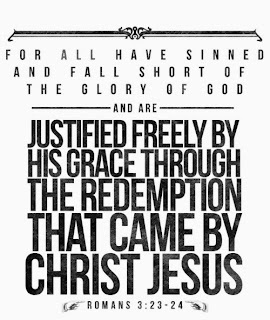 As Romans 3:23 puts it: "For all have sinned, and fall short of the glory of God, being justified freely by His grace through the redemption that is in Christ Jesus." That's the NKJV version, which I like best. Other version says "come short of the glory of God," but "fall short" implies that we are sinning all the time - and we certainly are. The New Living Translation says that "we all fall short of God’s glorious standard." What is God's glorious standard? Perfection. And no human being (no, not even you) can be perfect. 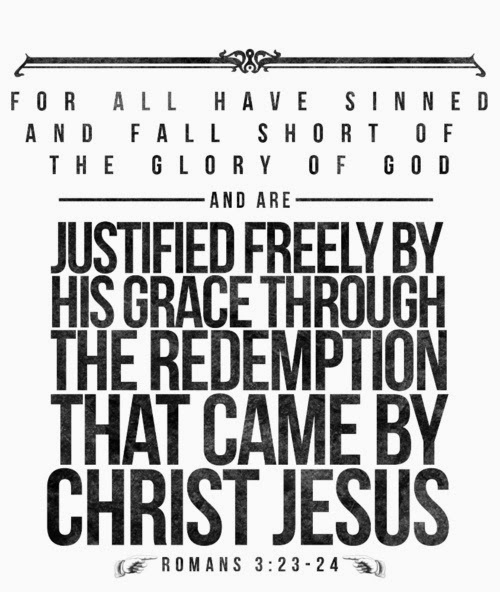 That's why we needed Jesus - to free us from our inevitable sin. You may feel like something that someone else did is way worse than anything you have done, but is it? Is it really? Doesn't God count all sins the same? James 2:10 says "For whoever shall keep the whole law, and yet stumble in one point, he is guilty of all." And everyone's favorite bible verse when THEY are being persecuted can also be thrown back at them from time to time: “Judge not, that you be not judged. 2 For with what judgment you judge, you will be judged; and with the measure you use, it will be measured back to you. 3 And why do you look at the speck in your brother’s eye, but do not consider the plank in your own eye? 4 Or how can you say to your brother, ‘Let me remove the speck from your eye’; and look, a plank is in your own eye? 5 Hypocrite! First remove the plank from your own eye, and then you will see clearly to remove the speck from your brother’s eye." (Matthew 7: 1 - 5 NKJV). The point is that we need to be really careful how we treat others who have hurt our feelings. It doesn't mean that they should get away with it - in fact, Jesus tells us exactly how to deal with this situation. 15 “Moreover if your brother sins against you, go and tell him his fault between you and him alone. If he hears you, you have gained your brother. 16 But if he will not hear, take with you one or two more, that ‘by the mouth of two or three witnesses every word may be established.’[a] 17 And if he refuses to hear them, tell it to the church. But if he refuses even to hear the church, let him be to you like a heathen and a tax collector." (Matthew 18:15 - 17) So sometimes even when you forgive, it doesn't mean you have to let this person be around you and get away with everything that they say/do. It does mean though that you need to try to work it out with them. You need to be humble and remember that Jesus is the only one who saved us. We can't do it on our own, we're always going to sin and "fall short of the glory of God" - and that goes for everybody. During the week I try to eat pretty healthy. 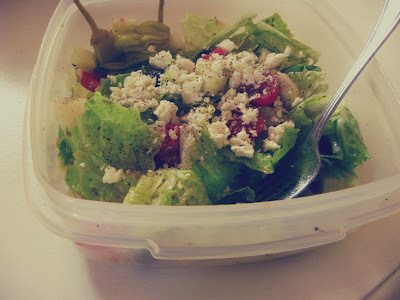 I realize that a lot of people don't know what to fix for a healthy lunch when they're busy (and also it's very easy to end up eating junky processed foods in its place), so I thought I'd share one of my favorite healthy foods: greek salad. This can be made the night before for a quick lunch, or you can whip it up for a filling (but healthy!) dinner. 1. According to how large you want your salad, gather all your veggies. I used probably 8 leaves of lettuce, 10 tomatoes, 15 olives, and 1 cucumber. Cut these up however you'd like. 2. Add a pinch of basil and oregano, and then about a 1/4 teaspoon each of thyme and garlic powder. Sprinkle the salad lightly with salt, and generously with pepper. 3. Now, at this point I would add my dressing. I usually just eyeball the amount of oil/vinegar that I put on it, but I would estimate maybe a tablespoon of vinegar and slightly less than that of olive oil. 4. Stir up the salad, crumble your fetta cheese on top, and serve with two or three pepperoncini on the side. I wanted to note that if you can buy organic produce, do! If not, it's still important to eat your veggies for the nutrients. Also, try buying pepperonicini WITHOUT the yellow #5 dye, as it can potentially be bad for your health. All the ones at my grocery store contain the dye (including Mezzeta). If anybody knows where I can buy it without yellow food dye, please leave a comment below. 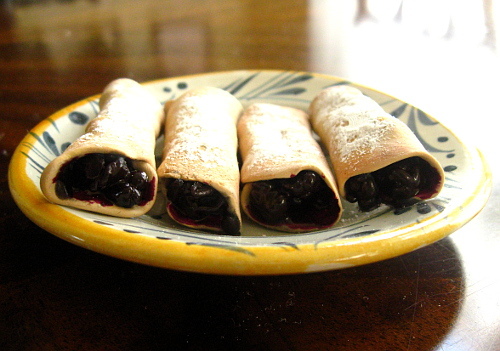 What other recipes would you like to see on the blog? One reason I haven't been posting a lot is I felt like I might have been losing myself a little in my posts. I found myself comparing my blog to other people's blogs and YouTube channels, and I felt kind of pressured to post a lot of pictures of myself or things that I'd bought, and sometimes I just felt like I was focusing too much on myself. So I guess I had to do a little bit of soul searching in this break period. Another reason I haven't really been posting was because my mom has actually been pretty sick. She's doing a ton better and I'm so thankful for that, but I've just been really busy with helping around the house and doing my schoolwork and overall just balancing my life. I also don't really know what direction I'd like to take my blog in, which was another reason I haven't been posting. I had gotten out of fashion and makeup really and have tried experimenting with other hobbies, but really I do love fashion and makeup and writing reviews on products because that's something I always really like to read about. 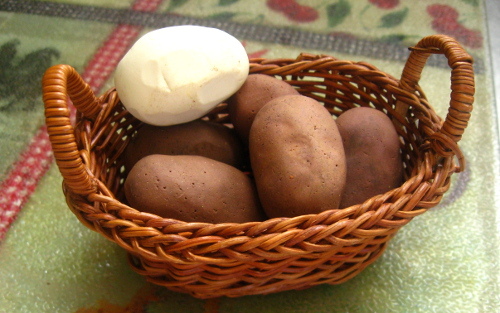 So I'll probably keep writing about beauty, but I'd also like to write on some of my other passions like religion, photography, and one of my newest hobbies which is making realistic clay food for doll houses and doll collections. I guess this post may be kind of rambling, but overall the main point I'm trying to get across is that I really didn't know what to post about, I had to quit comparing myself to others and worrying about what people though of my blog, and I'm finally feeling like I have the time to put some energy into my blog. If you guys have any ideas about my blog, I'd really appreciate hearing your advice and suggestions. ALSO, off topic, but I wanted to ask everyone to pray for and keep their hearts and minds with the people in Boston, who have suffered unimaginable terror and heartbreak. Transferring songs from iPod to iTunes. EASY PEASY! I am proud of myself. A few months ago, I transferred all my music and apps to my iTunes library. Now besides the fact that I almost had a heart attack ("PREPARING TO SYNC?!?!?! CANCEL CANCEL! Oh wait. "), it actually wasn't as hard as I thought it was. And I'm so thankful I did! I got my iPod touch for my 16th birthday and my dad had synced it on a computer at his work so I could be surprised. The only problem was that my iTunes library was on another computer...the computer at the job he quit a few months later. So I had become painfully aware that if I lost or damaged my iPod, that would be it. My music, pictures, and apps would be gone. But I was also really afraid that I would accidentally sync my iPod with my new computer and completely wipe my iPod's library. I finally decided last night that regardless what happened, my iPod would probably quit working eventually, so I might as well try to save it and lose the information now than damage it and have no way of saving it then. But nothing got lost! :D I followed a lot of tutorials to help me transfer everything, but I thought I'd give you a run down of what I did. I swear though, Apple has the WORST system ever. This first step MUST BE COMPLETED BEFORE YOU PLUG IN YOUR IPOD TO YOUR COMPUTER! If you didn't get that, here it is again. DO NOT CONTINUE THIS STEP UNTIL YOUR IPOD IS UNPLUGGED FROM AND FAR FAR AWAY FROM YOUR COMPUTER. Okay. So after you have iTunes downloaded on your computer, go to Edit>Preferences>Devices. Tick the box that says Prevent iPods, iPhones, and iPads from syncing automatically. You do not want your iTunes library on your computer to replace everything on your iPod. Because if your iTunes is empty or only has one song...than your iPod will be empty or only have one song on it. Next you can plug in your iPod. Now I had some window come up asking me if I wanted to register my iPod, but I just pressed "Register Later". This took me to a screen that told about my iPod. On the toolbar on the left, it should show your iPod's name. Right click this and click "Transfer purchases". You will see on your iPod that it says "Syncing in progress", but all it is doing is copying your music from your iPod to your iTunes. After this, you can sync your apps manually. You can sync your music, too, but I didn't because a window popped up that said something like "do you want to erase and sync your iPod?" and it freaked me out. I just wanted a backup of my files on my iPod so that I wouldn't lose my purchases. Being able to play my iPod's songs on iTunes and purchase from there is just a plus.